Did anyone say “gourmet burger”? 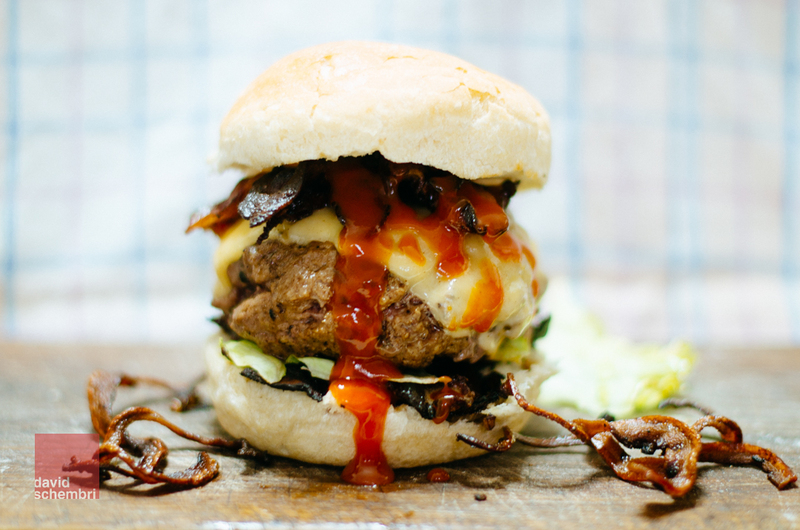 I’ve recently (for the past two years) been going through a bit of a burger phase, whereby every night I get cravings for the taste of buns on beef, bacon and cheese. Given that these are generally sold as “gourmet” burgers, with the price to match, I decided to try my hand at crafting the perfect bite myself. While I was at it, I decided to take a proper shot of it – inspired in no small way by Matthew Ramsey’s project pornburger.me. In my case, I don’t think I shall be posting all that many pictures of my burger creations, since I shall mostly be focusing on getting better flavour and texture instead of looks.